Continuing the cycle theme, this was probably a college student on her daily commute. On a “ladies” cycle with a very low central bar. Her attire suggests pre-Independence Bengal – probably the teens/20s. They did have a lot of blouse at the time. 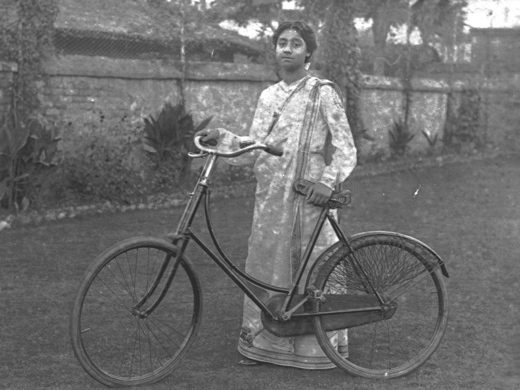 This entry was posted in 20th century, Bengal, Colonial, cycling, Victorian, Vintage, Vintage Dress, Women and tagged bicycle, blouse, cyclist, india, saree, vintage, vintage bicycle. Bookmark the permalink.